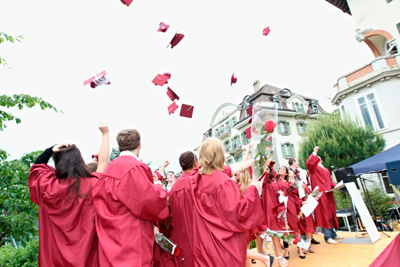 As a parent considering schooling options, there are many reasons why an international education in Switzerland would be perfect for your child. From superb university prospects and diverse multiculturalism, to standards of teaching and excellence that are second to none, we’ve picked ten of the best reasons to give your child something that will serve them well for the rest of their lives – a Swiss education. Safety and discretion: this a consideration not to be overlooked given the troubles that much of the world faces on a daily basis. For young people choosing to study in Switzerland, this security offers a reassuring and comforting framework in which to develop fully with confidence. Modern teaching methods: Switzerland is, of course, home to Piaget and Pestalozzi, key figures in educational development and theory and their principles are still very much in evidence in our teaching. Learning in the heart of Europe: one crucial reason for choosing Switzerland is its geographical location at the crossroads of Europe, with national boundaries with France, Italy, Austria and Germany. Although not officially a member of the European Community, Switzerland is an influential country at the heart of Europe. One of the happiest places on earth: the first World Happiness Report from Columbia University ranked Switzerland the seventh happiest place on Earth, well ahead of countries like the United States, France, Australia, the United Kingdom and New Zealand. Why not speak to us about schooling in Switzerland? Feel free to contact us or book a tour of the campus when you are next in Lausanne, Switerland.